Over the last few years Ikano Bank has been quietly growing it’s footprint in the UK banking market. 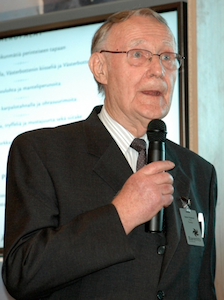 Founded by Ingvar Kamprad, the founder of IKEA (pictured below), Ikano Bank has become one of the most searched for companies on Smart Money People. So we’ve written the definitive independent customer guide to Ikano Bank. What does Ikano Bank offer? In the UK, Ikano Bank started out by offering finance solutions to large retailers (i.e. store cards, which are provided by a range of stores such as IKEA, Karen Millen and DFS). Ikano Bank also offer personal loans (£1,000-£15,000) and a range of fixed termsavings accounts (1, 2 and 3 year terms). Are your savings covered by the Financial Services Compensation Scheme (FSCS)? The answer here is no. However, savings up to €100,000 per person, are covered by the Swedish Deposit Insurance Scheme, managed by Riksgälden. Although this may put some customers off, it isn’t that rare these days, with a number of recent newcomers to the UK banking market like RCI Bank (covered by the French Deposit Protection Scheme) and Fidor Bank UK (covered by the Compensation Scheme of German Banks GmbH) also covering their savings deposits with the protection scheme of their home market. The million-dollar question: How good are Ikano Bank? Ikano Bank claims to be “a bank that puts our customers at the heart of everything we do, so treating you fairly comes naturally”. But what do our Smart Money People have to say? Well, as of 10th October 2016, Ikano Bank currently have a 2.62 / 5 overall rating (52.4%), which doesn't tell a great story about this bank. They also have a Net Promoter Score of + 33 (essentially a key measure of how strongly Ikano Bank customers would recommend them, which is reported on a scale from -100 to +100). Overall, customers have not been impressed with the time to takes to get a decision re their application. Being offered personal loan rates higher than the advertised rates has also led to dissatisfaction. You can read our Ikano Bank reviews here. Oh, and if you’re a customer, please write a quick Ikano Bank review too. Your reviews help to increase trust and transparency in financial services, while also helping other customers to find the best companies out there. Ikano Bank did not feature in our British Bank Awards league table in 2016. However, with growing reviews for this bank, we're hoping to feature them in our banking league table in 2017.